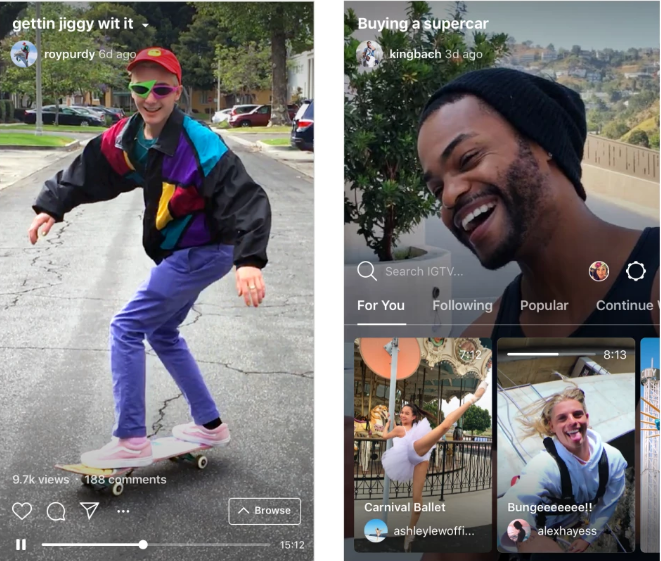 Undoubtedly the biggest news of the month in the social sphere was the launch of Instagram’s long-form video platform, IGTV. Previously, videos up to 2 minutes in length could be uploaded on Insta, but with the introduction of IGTV, videos can now be up to 10 minutes long (regular accounts) or an hour long (verified accounts). IGTV also optimises videos for vertical viewing, so no more turning your phone on its side to film or watch in full screen mode! This could spell trouble for YouTube; although much longer videos can be uploaded to Youtube, they’re in landscape format, which can be frustrating for viewers and creators on mobile. For the full lowdown on the ins and outs of IGTV, check out this blog post by our Social Media Coordinator, George! 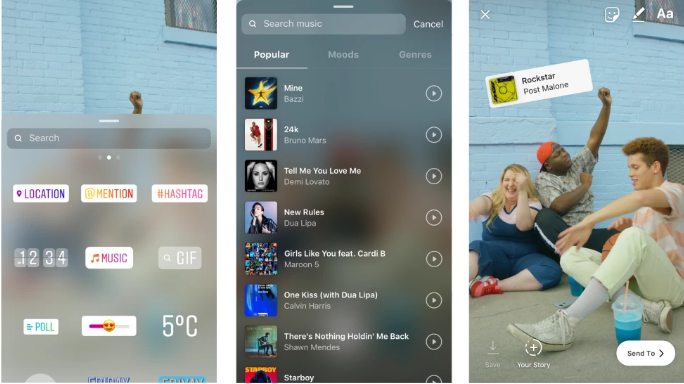 Insta’s second big update of the month was the introduction of music to Stories. Users can now add a soundtrack their stories by going into the stickers section, selecting the music icon and searching for the track they would like to feature. You can then fast forward and rewind through the track to get the exact section of the song that you want to accompany your story. iOS users can also choose to overlay sound whilst they record a video. To do this, just swipe across to the Music option under the record button, select the song you require and then the music will play in the background as you record your video clip. The song title and artist name will appear too, so you might even be responsible for introducing your friends to some new tunes while you’re posting to your story! Music has been rolled out in the latest update to a few countries already, but Instagram have said that more countries will follow soon. We’re definitely looking forward to soundtracking our summer adventures, are you? Just one small update from Snap this month – the option to delete messages from a conversation on the app’s messaging function. While messages automatically self-destruct after they are opened (unless they are saved), this new feature allows a user to ‘unsend’ a message that they have written. 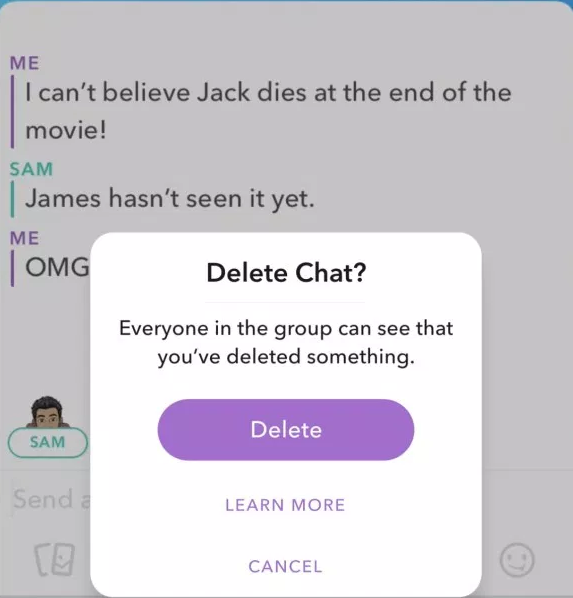 Users simply press and hold the message that was sent, and a prompt will appear on screen asking whether you want to delete that chat (as seen below). Of course, if the other person has already seen the message you’re trying to delete then there’s not much point, but if you’ve sent something to the wrong person and they haven’t yet opened it then this could be a useful feature. However, Snapchat have warned that if the other person has an older version of the app then the unsend feature isn’t guaranteed to work, so double check your messages before you send them! There was yet another scandal for Facebook this month, albeit on a smaller scale. It was revealed that privacy settings may have been altered on the posts of over 14 million users due to a bug. The bug was apparently active from 18 May – 27 May this year, and changed privacy settings to ‘public’ without the knowledge of the user. Facebook have stated that they’ve since rectified the issue and changed the privacy settings on the posts affected back to private, but it has cast doubts once again on the company’s issue with data privacy. 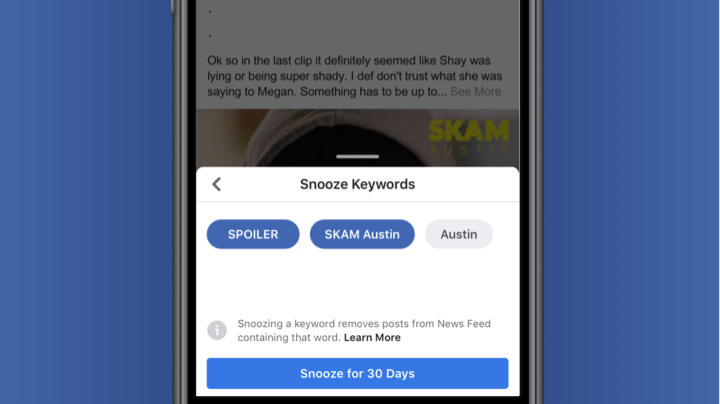 On a more positive note, Facebook are testing a new feature in the news feed: Keyword snooze. This new tool is ideal for anyone that is sick to death of hearing about a particular topic, as it allows you to hide posts containing select keywords from your feed. Users will be able to click into a posts menu button on the upper right hand corner, and then choose certain words or phrases which they would like to prohibit on their feed. Activating the keyword snooze will stop the user from seeing posts with that particular word/phrase for 30 days. So, if you’ve missed the season finale of Game of Thrones and don’t want to see any spoilers, you could snooze phrases like ‘GoT’ or ‘spoiler alert’ to ensure you don’t see any posts relating to the show. It’s not yet clear if/when this will be rolled out more widely, but we’ll keep you updated! Twitter have recently launched Twitter Media, a site to help publishers learn how best to utilise the app.The aim of the website is to help smaller publishers learn how to create engaging content with the goal of generating money. Best practice guides, an FAQ section, publishing tools and success stories will feature on the website. Twitter will be hoping that this will lead to more content being created and shared, driving conversation and engagement on the platform.